Hey! When you are really thirsty and dehydrated what is the first thing you want drink? I will ask for a can of ice cool 100PLUS. Yes! 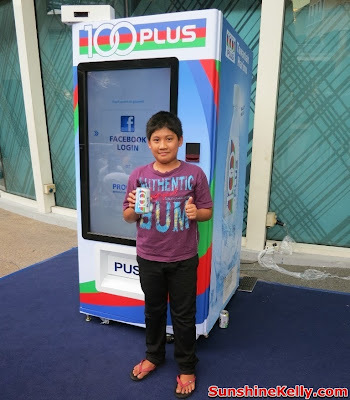 it will quench my thirst and give me the feeling of satisfaction ah… By the way, last month I have blogged about the Free 100PLUS from the 1st Interactive Vending Machine in Malaysia. 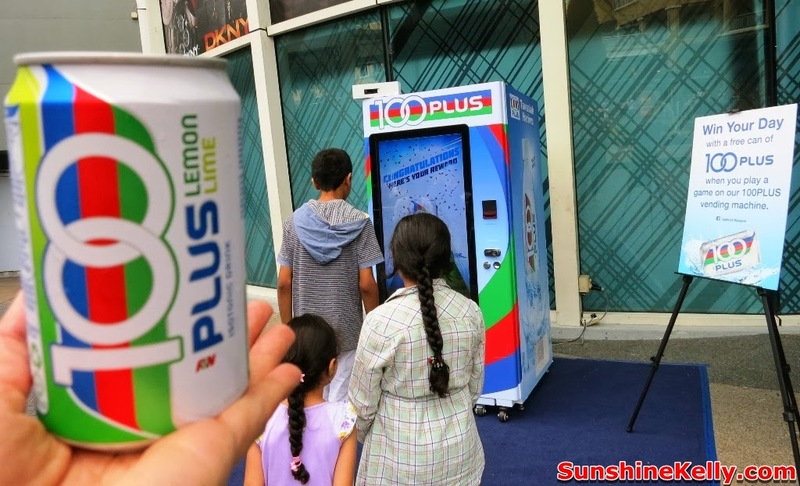 How many of you have try Play 100PLUS Free The Can game on the 1st Interactive Vending Machine? 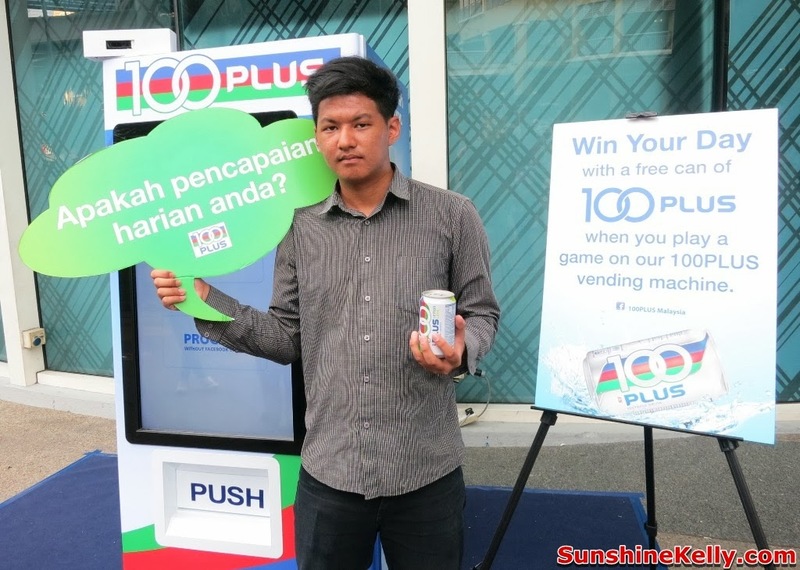 This is My 1st Experience Play 100PLUS Free The Can Game - Win The Day on the 1st Interactive Vending Machine at e-Curve Mutiara Damansara during the weekend. This Interactive Vending Machine will be placed around Malaysia such as Klang Valley, Johor Bahru, Penang and also Melaka at strategic and high traffic locations such as shopping malls and colleges from 16th Nov till 22nd Dec 2013. You can check out the schedule below. 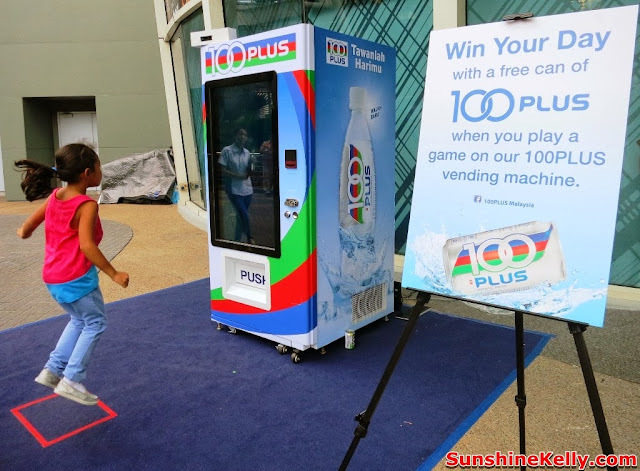 Well, this Interactive Vending Machine is simple to operate and the 100PLUS Free The Can game is also very quick and easy to win. Actually everyone is a winner #WinTheDay. This is how the game works… you can choose to login to your Facebook account and share your score and picture or you can straight start the game. 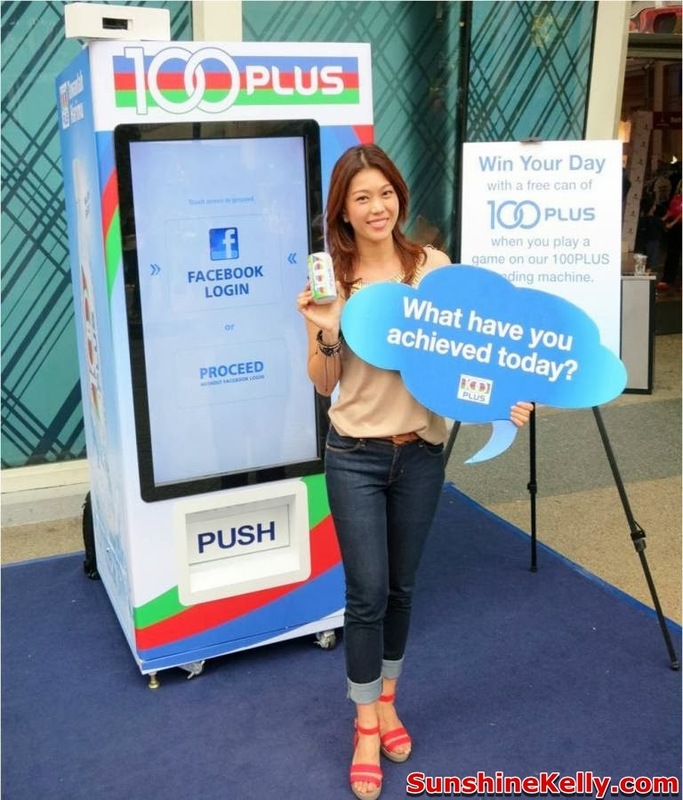 Like me, I login in and when I played the game the camera on the vending machine will take a picture of me and post it on my Facebook wall together with my score, it's cool. 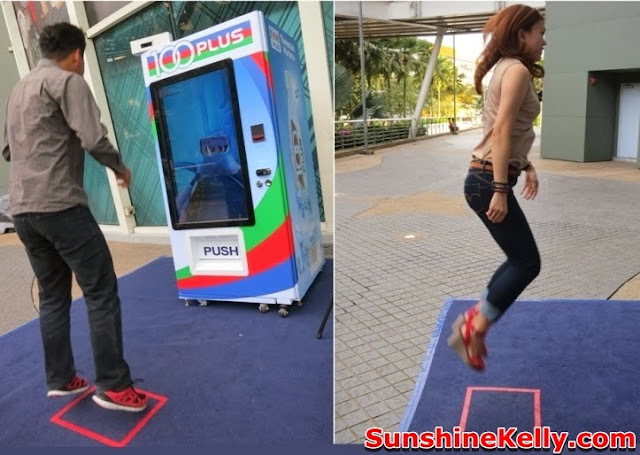 Stand in the designated box, login the game & start, just follow the 100PLUS can on the screen and move your body to the left and right to maneuver the can at the same time try to avoid the obstacles on the left, right and below. You have to jump when there are obstacles or something blocking your way. After the game you will get your score, see how well you performed and of course get Free #100PLUS isotonic drink. So get ready to have fun, jump and move your body. Let’s move it, move it. Usually the Vending Machine is located at the high traffic area, either at the entrance or prominent waiting or gathering areas. You will not miss it. 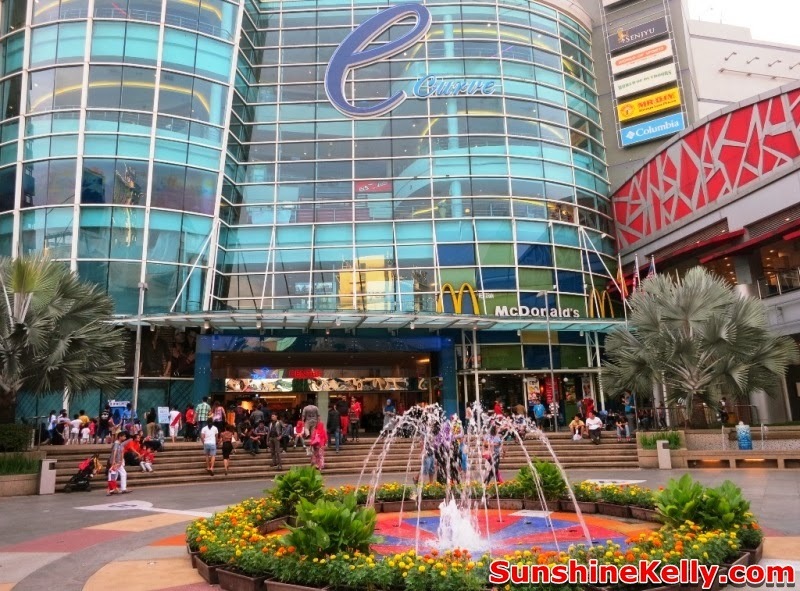 When, I was at e-Curve there were quite a consistence crowd. During the weekend and school holiday period at the shopping malls, I saw many families with children, tourists and young adults playing out the game. 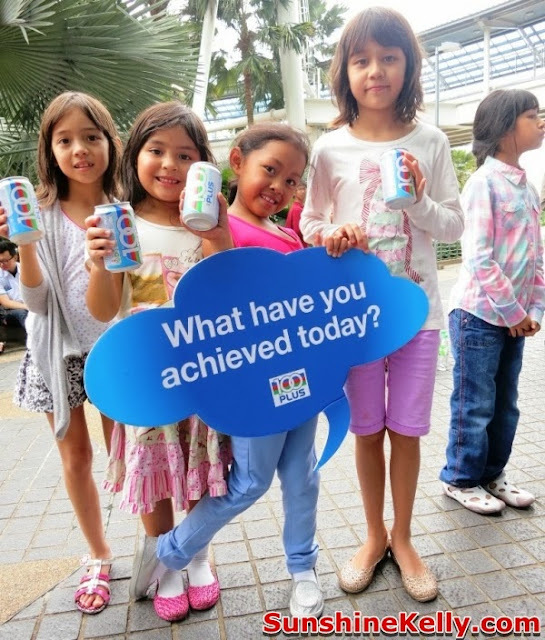 When I ask them most of them say is fun and easy, what a good way to win a can of drink on a hot day. And most of them would like to play the game again.